Premier Florida Realty was designed and implemented with a clear purpose: to re-define the residential real estate brokerage and bring about positive changes and sincere progress to an industry that has lacked real creativity for decades. Our philosophy is simple: to provide our customers the kind of service we ourselves would expect. Premier Florida Realty has a market presence in Lee, Collier and Hendry counties and a broker with over 30 years of experience. We’re ready to provide you with the facts, negotiate the best deals and make your next real estate transaction a smooth, pleasant experience. We’re here for you – whether we’re helping your sell you home at the optimal price, or arming you with the knowledge to make your next (or first) home purchase. We specialize in the sale and purchase of residential real estate, including traditional, bank-owned and short sale properties. Thank you for allowing me to introduce myself. 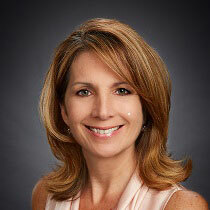 I am one half of “The Closers” team, residential realtors with Premier Florida Realty. 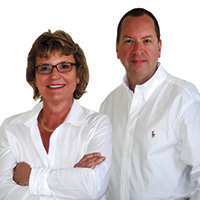 We are passionate and experienced in every facet of our local real estate market. As committed professionals with great negotiation skills, we work diligently, and strive to make buying or selling a home as stress free as possible. Why not get two realtors for the price of one? With over two decades of experience, our philosophy has never changed. Simply stated, we always put our clients first. We feel personal involvement through the entire process is essential for providing top quality service before, during, and after the sale. From our initial contact with you, to the sale and purchase offer, negotiations, contract deadlines, inspections, appraisals, title, all the way to the closing table, we are there every step of the way. Maintaining a comprehensive knowledge of the local real estate market is crucial and utilizing our wide network of residents, professionals, and organizations is the best way to stay informed and involved. My partner, Denice Knudsen, and I are strong advocates for maintaining the natural beauty of our unique sub-tropical region. We are also active volunteers, and Ambassadors of our community. Our appreciation of the Southwest Florida Lifestyle combined with our dedication and professionalism, has brought many repeat clients and referrals as well as ranked us among the top producing realtor teams in our area. Let us go to work for you today! I am grateful for your business and thank you for contacting me. I am a true professional in every sense of the word when it comes to the purchase, sale, or rental of your home or condominium. I am dedicated to helping you. 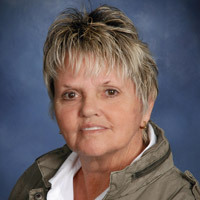 I am known for my competency and speed in listing and selling Southwest Florida properties. 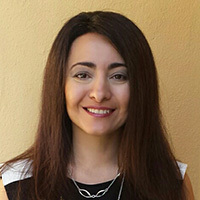 Member of Realtor Association of Greater Fort Myers and the Beach, Inc.
20 yrs Residential sales experience specializing in golf course communities and new sales. Recipient of THE FIVE STAR DESIGNATION for 2005, 2006 & 2007. This is their 3rd year in a row to receive this honor only 7% of agents in SW Florida are chosen as a Five Star Best in Client Satisfaction. Lexington Country Club awards for 2004, 2005, 2006,2015 & 2016 for Appreciation, Dedication, and Support of Lexington Country Club’s Annual Barbara’s Friends Charity Event. Maintaining a comprehensive knowledge of the local real estate market is crucial and utilizing our wide network of residents, professionals, and organizations is the best way to stay informed and involved. My partner, Robb Capps, and I are strong advocates for maintaining the natural beauty of our unique sub-tropical region. We are also active volunteers, and Ambassadors of our community. Our appreciation of the Southwest Florida Lifestyle combined with our dedication and professionalism, has brought many repeat clients and referrals as well as ranked us among the top producing realtor teams in our area. Let us go to work for you today! Bob was born in Cincinnati Ohio. 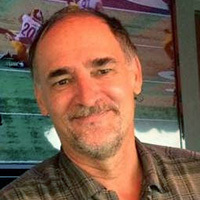 He attended Moeller High School and Miami University before moving to Saint Paul, Minnesota with his family in 1967 and has lived in Fort Myers since 1991. Bob has been self employed since 1977 after purchasing Twin City Honda-Suzuki and making it one of the Midwest’s largest motorcycle dealerships, Popeye’s on the River, now PD Pappy’s, a popular restaurant plus live music venue on the St Croix River in Stillwater, Minnesota and the House of Sound a night club music venue in Ft Myers. Bob was also instrumental in starting Jerico Racing Products of Concord, NC with Jerry Hemmingson, designing transmissions used by many NASCAR and NHRA racing teams. A former drag racer, and fan of most all racing, Bob is also a Commercial Pilot and is a 100 Ton Master Coast Guard Captain. 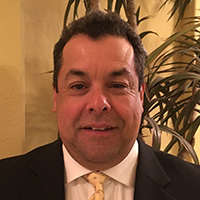 Bob has been a Realtor since 2005 working at first on Sanibel Island, before moving to the mainland when the office was sold and now is licensed with Premier Florida Realty not far from Ft Myers Beach. 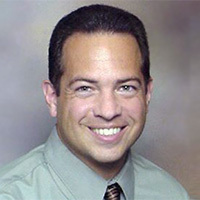 He has earned a Certified Distressed Property Expert® designation and a Certified Negotiation Expert with his training and experience. 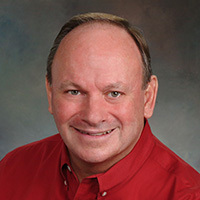 Bob knows that accurate information is the key to making good decisions and He strives to provide his clients with the most accurate information possible, in order for them to make their real estate decisions. 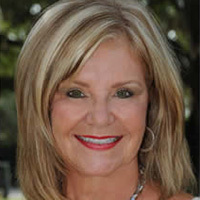 As a dedicated real estate agent, I am qualified to guide you in buying or selling a home. My skills in finance, contracts, negotiation and marketing will give you a market advantage. I offer local expertise in a home market tailored to meet your needs. As a local professional, I know the neighborhoods, schools, market conditions, zoning regulations and local economy. I will make the process as pleasurable and stress-free an experience for you as I can. In our positions as agents, we responsible not only for sales, but marketing and advertising. We handle the website, newsletters, press releases and advertising for our ‘team’ as well. We pride ourselves in finding the right place for the right person and are highly motivated, work and results oriented people. Alliance for the Arts, Fort Myers / Art League of Fort Myers, National and Florida Association of Realtors / Realtors Association of Fort Myers and the Beach, Real Estate Investors Association, Fort Myers Chamber of Commerce / Fort Myers and the Beach, Boardwalk Caper Web Master, Harley Owners Group. We have lived in condominium communities for 35 years, serving on the boards of each, working on the committees that deal with everything from maintenance to landscaping and community upgrades. We completed the Community Association Management courses and continue to attend related classes to further our knowledge. Customers and clients enjoy the fact that we provide many years of local knowledge and expertise and are personally involved in every step of the Real Estate transaction from the first consultation meeting through the closing…we do not pass any step on to administrative assistants. Working together, we are better known in the Greater Fort Myers Beach area and Lee County as the “Meyer Team”. We have been twice voted “Best of the Beach – Best Real Estate Team”. Jay’s hobbies include, Golf, Boating, Riding the Harley, and Bicycling. 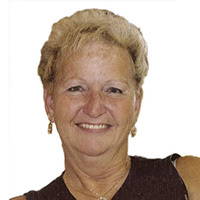 Tricia’s hobbies include, Golf, Boating, Riding the Harley, Bicycling, writing and graphic art. Association Manager / Director – Indiana Mortgage Bankers Association; Association Manager / Director of Indiana Association of Mortgage Brokers and PAC. Karen is a Realtor who fell in love with Florida more than 20 years ago. 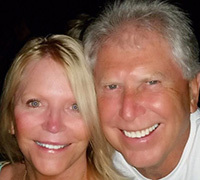 She specializes in the Listing and Sale of residential properties in Paradise. From beachfront condos on Fort Myers Beach to gulf access pool homes in Cape Coral, she is constantly on the move with and for her clients. A former Real Estate Paralegal, she is well versed in all real estate matters. 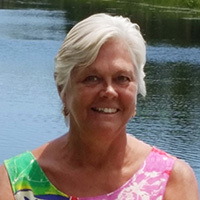 Karen resides on Fort Myers Beach with her husband, Lloyd, also a Realtor, and their pooch, Mimi. 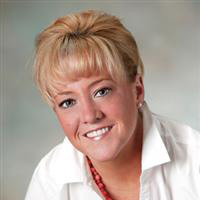 With over 15 years of experience, my greatest pleasure is to provide you with excellent, full-time service while meeting all of your real estate needs. My goal is to provide you with complete satisfaction during the process. Selling your home? I will get it sold in record time. I abide by the Realtor Code of Ethics. I take much pride in being honest, positive and patient. 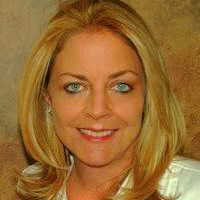 I am a licensed Realtor in Florida and Ohio. Whether buying or selling, CALL ME TODAY: 330-559-0002. I love my job helping people like you! I have been a resident of Lee County Florida since 1979. I graduated from North Fort Myers High School and started a banking career prior to graduation. I have over 30 years experience in lending & management. My mortgage background allows me to assist and partner with you to help you find the best type of loan for your needs. Whether you are new to the area; first time home buyer or still in search for that “perfect” primary or secondary home, I am the right person to help you find it! My passion is helping people achieve their dreams and home is a great place to start! Lee County is a great place to LIVE and PLAY. The beaches are here and the sunshine, too. I love the real estate business and want to make selling and buying your home or investment property a very pleasurable experience. Prior to my 12 years as a Realtor in Lee County, I worked over 20 years in the mortgage business. Now, I am doing what I really love to do….SHOW AND SELL real estate! GIVE ME A CALL – I always answer my phone (OK, at least between 8 am and 6 pm) and YOU, too, can “OWN WITH JOAN”. Are you an agent and are interested in joining our team? Please fill out the form below and we will get in contact with you shortly.